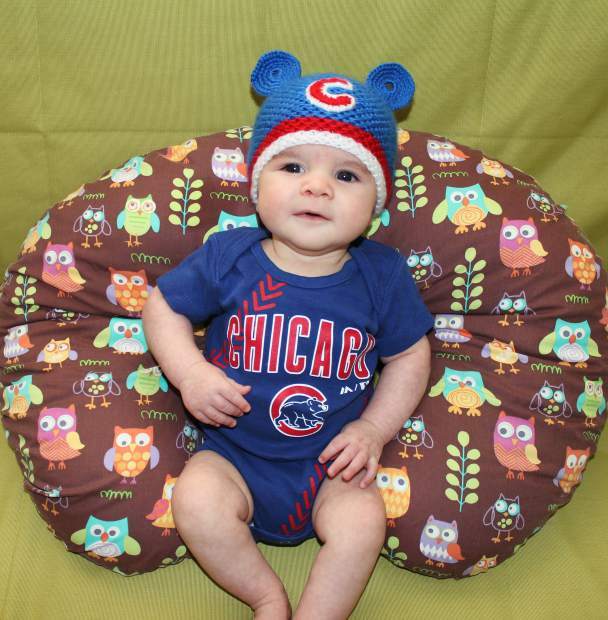 A big happy 3 month birthday to John Todd Ruoff , our newest little Cubs fan! He was born during the World Series! Your family loves you!